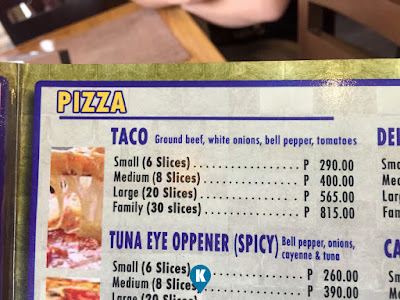 As I have written before, this writer is not a fan of Pizza. 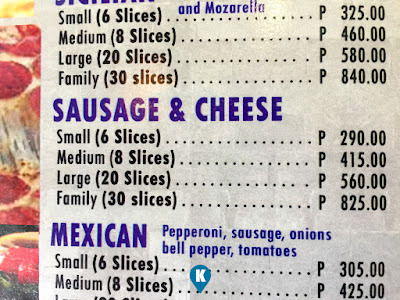 The only pizza I like are the ones that are free or given to me LOL. 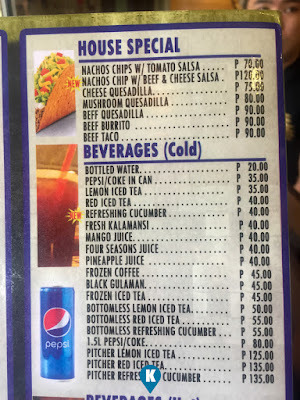 Although this time it was free, I was surprised. 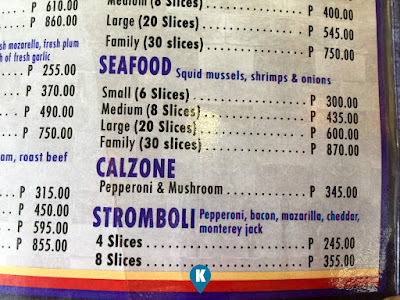 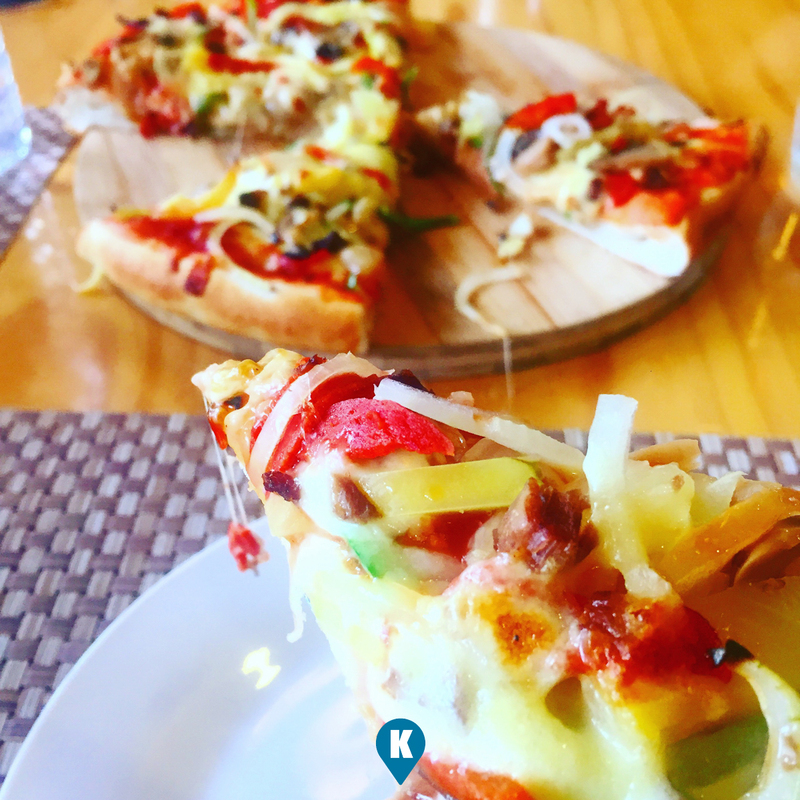 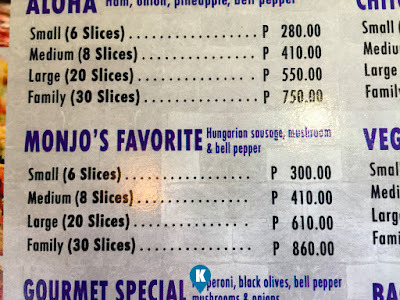 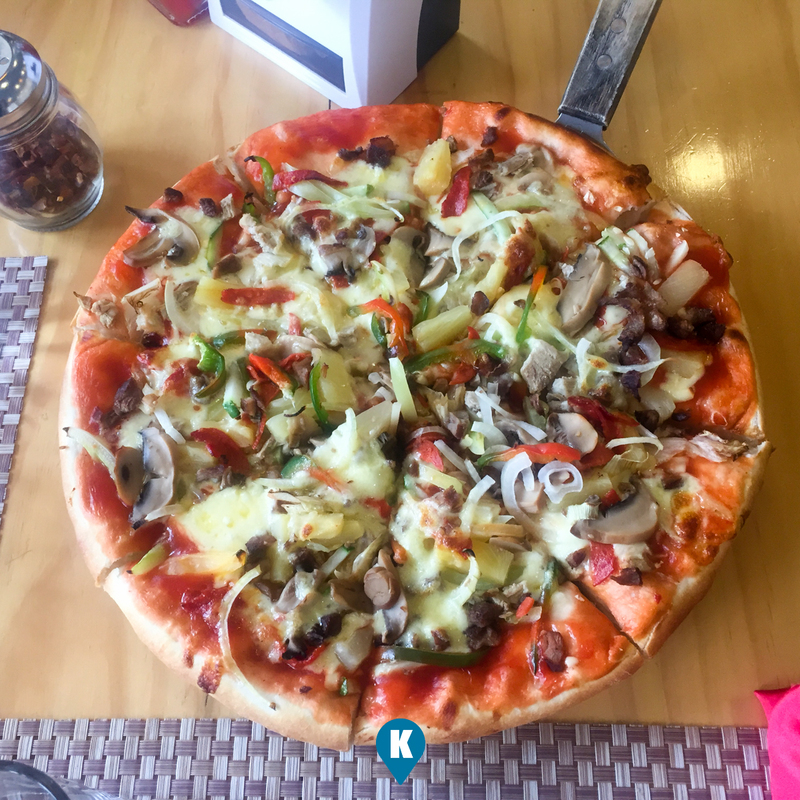 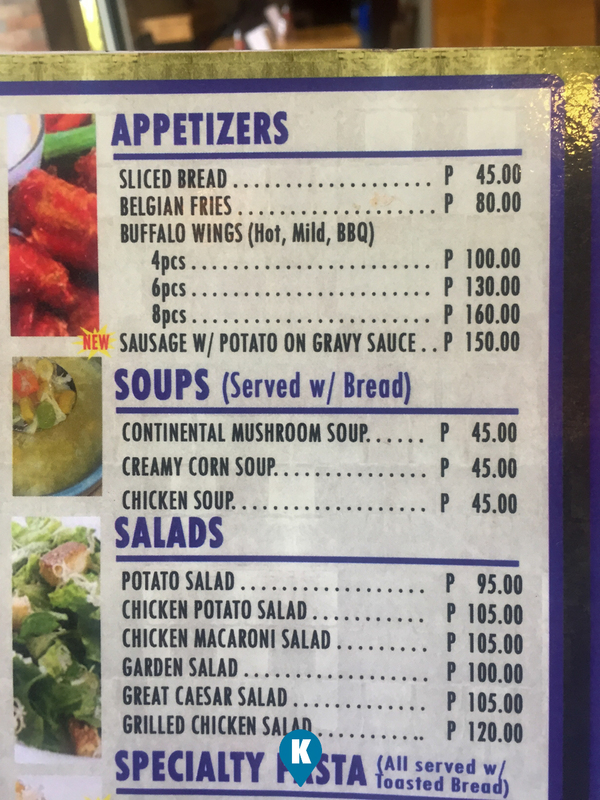 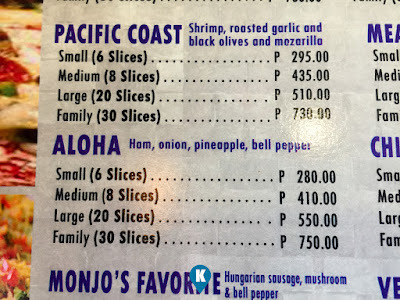 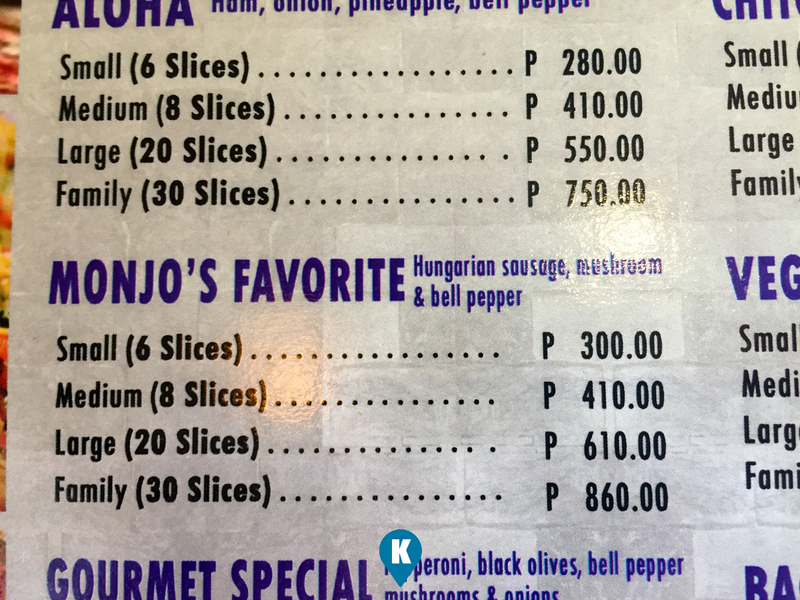 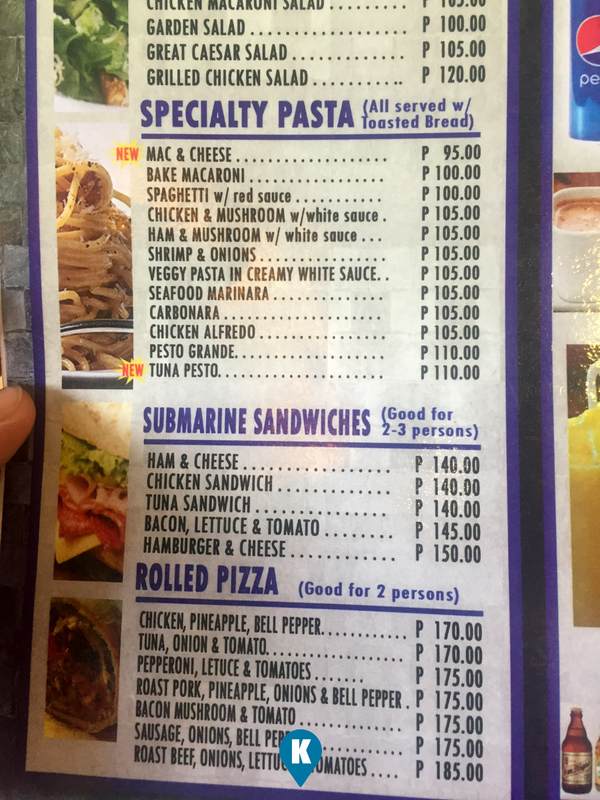 Monjo Pizza Gourmet is in Kalibo, Aklan and its along the main road coming off the Kalibo International Airport. 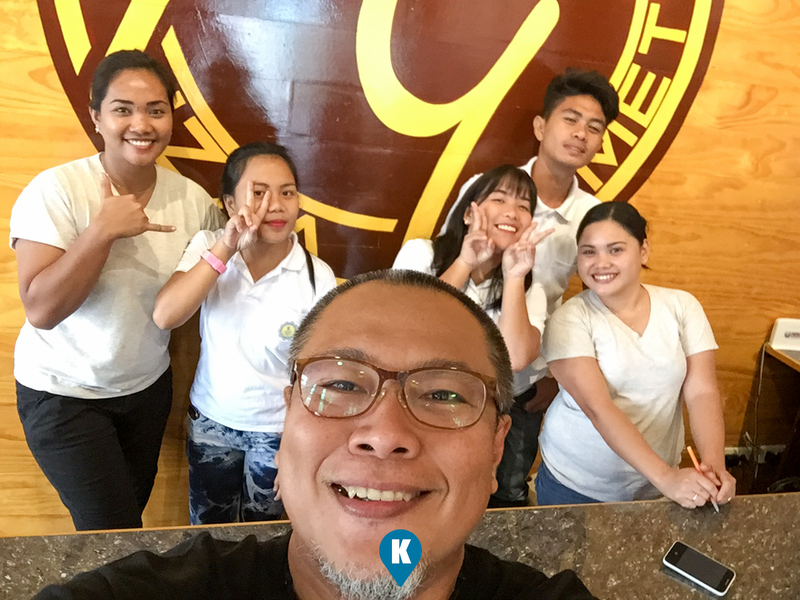 I just came in from Boracay and I was already in my hotel when I was asked by my friend to drive and pick up some guests from the airport. 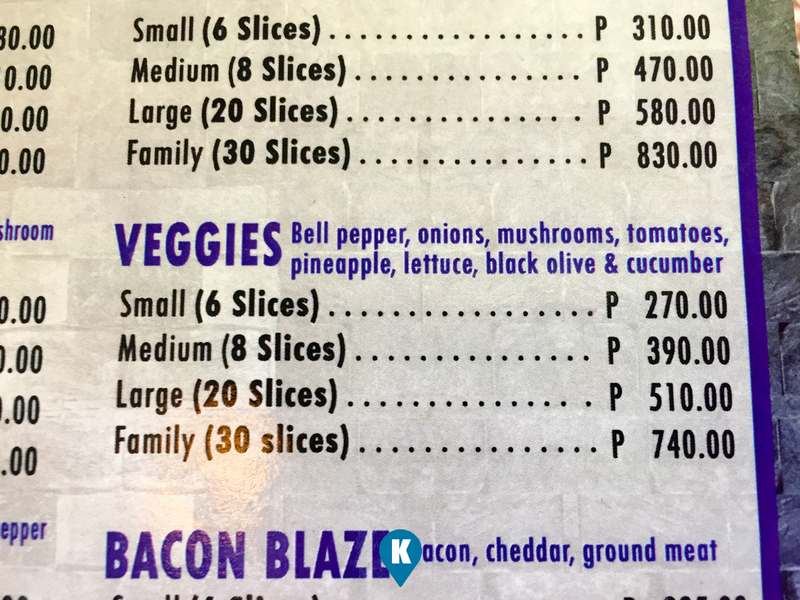 Since it was already mid afternoon, we went to have some pizza after picking them up. 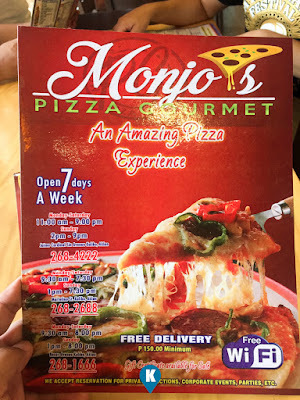 Monjo was big place and had lots of tables. 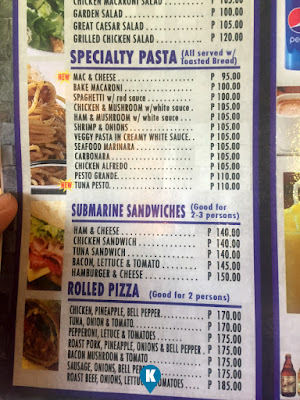 I surmised that this place must be good since the upkeep was great and the dining area huge. 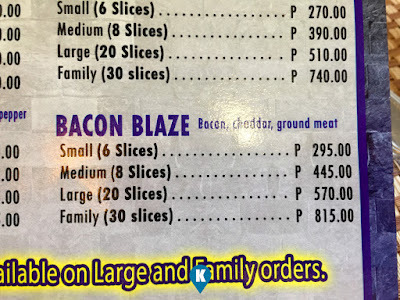 True enough. 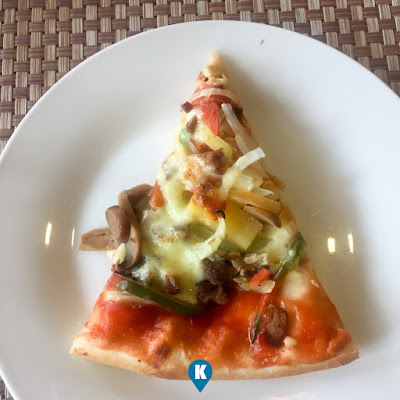 When the pizza came, it was gone in minutes. 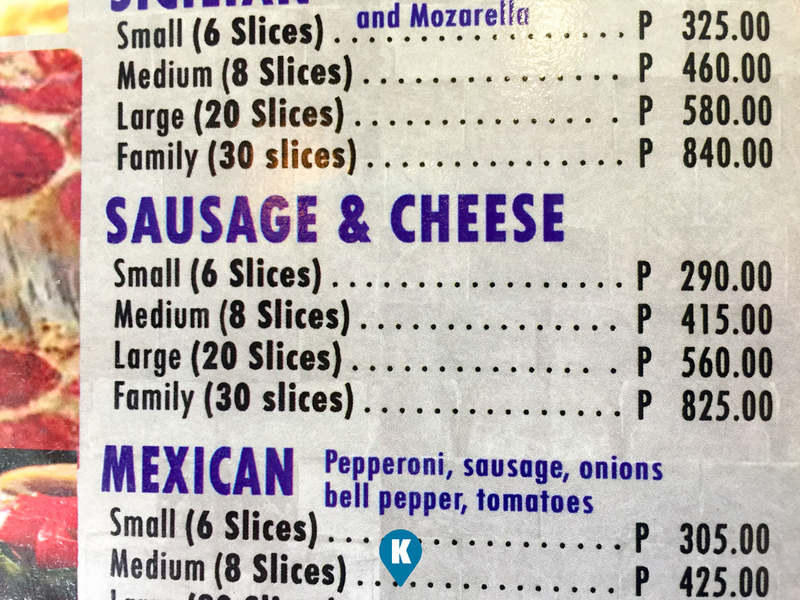 Their pizza was thick crusted and I like this from a pizza. 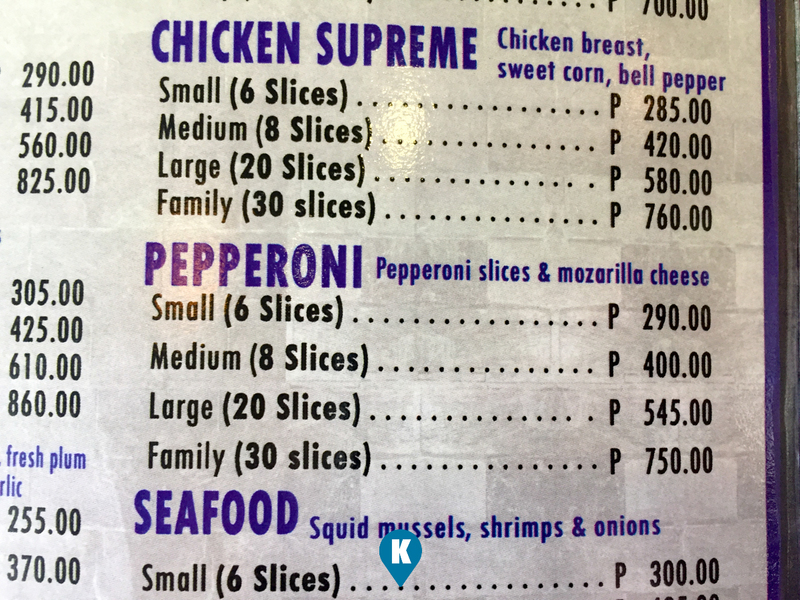 Toppings I noticed was a little bit thin but wasn't sparse. 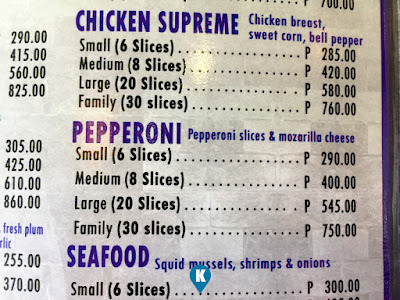 If you see here, the whole pizza was covered end to end. 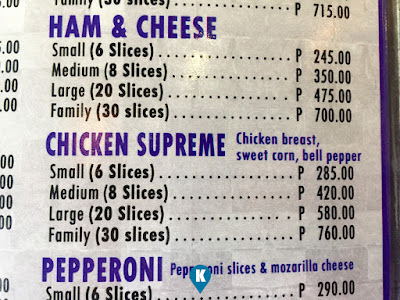 Sauce might be thin but the ingredients were not. 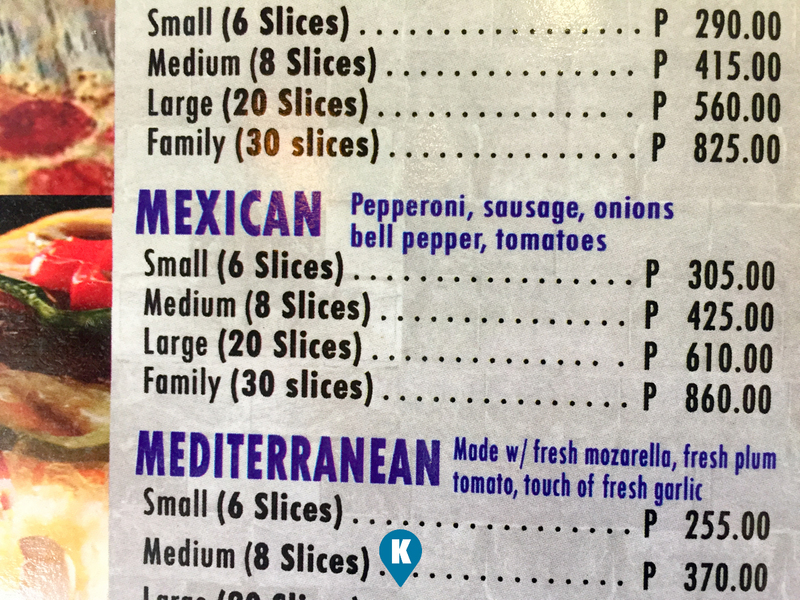 Maybe this was the reason the pizza tasted great. 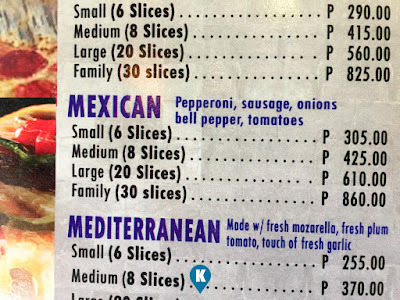 I couldn't remember a pizza with lots of ingredients. The last one I had in megamall wasn't like this, although it tasted great just the same. 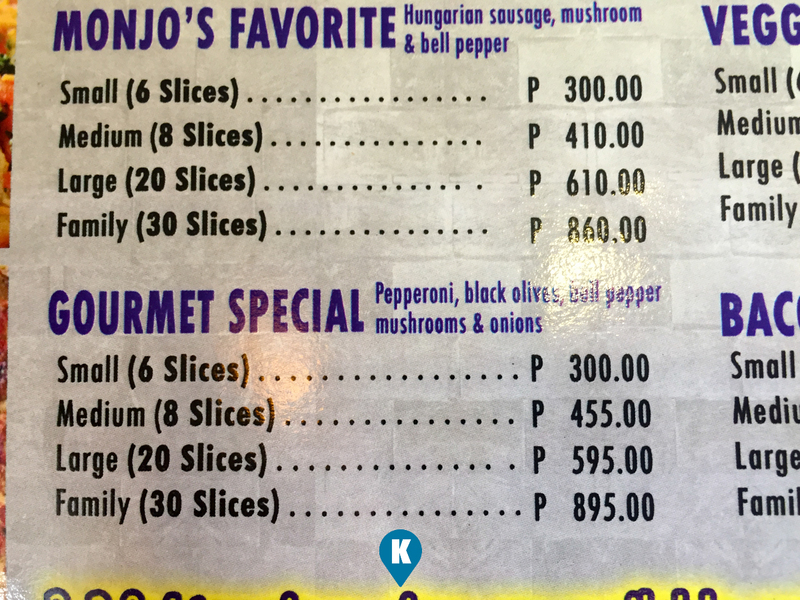 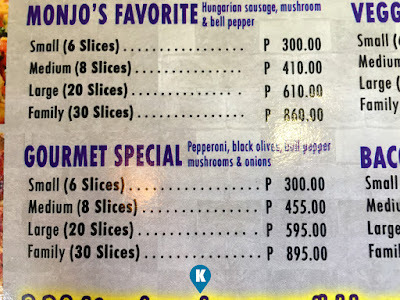 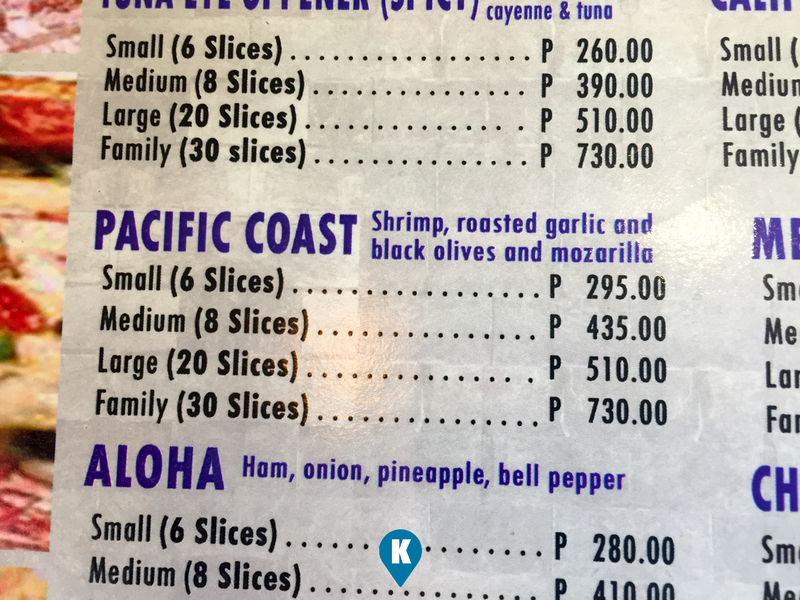 This might be the reason why Monjo's called their pizza as pizza gourmet. A pizza not ordinary but gourmet. Serving wise it is fine for 4 persons. 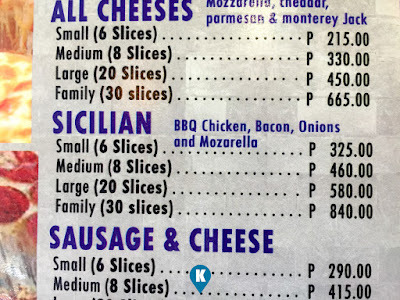 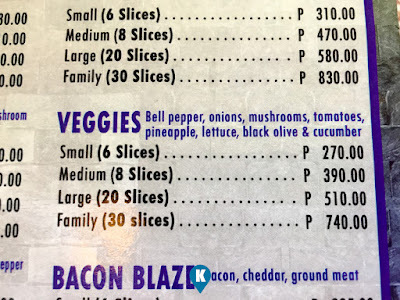 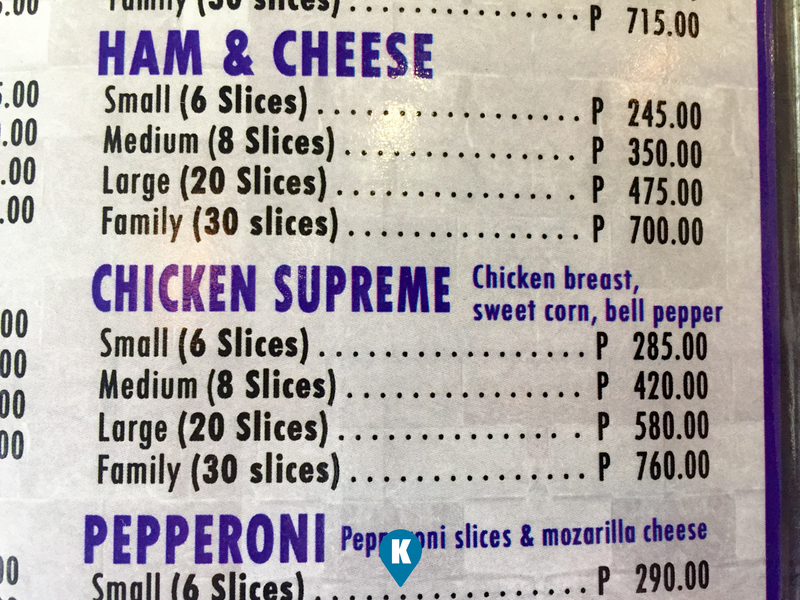 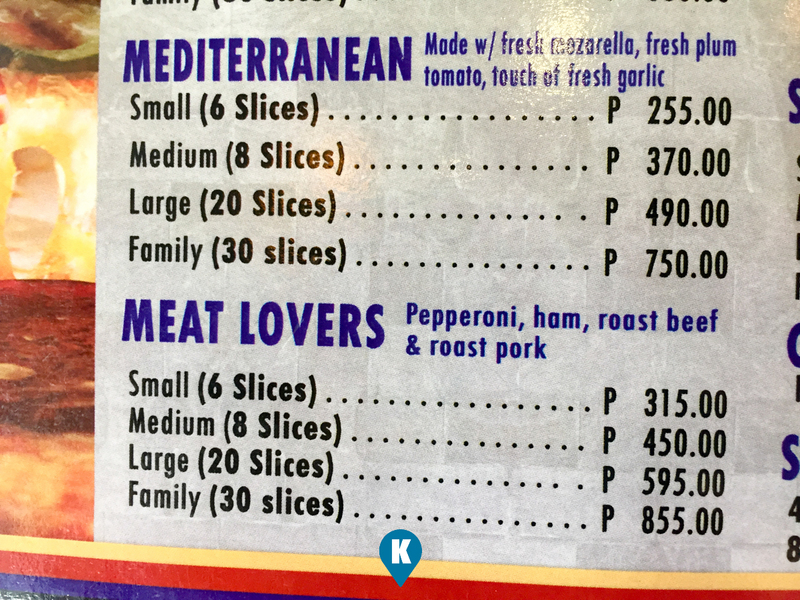 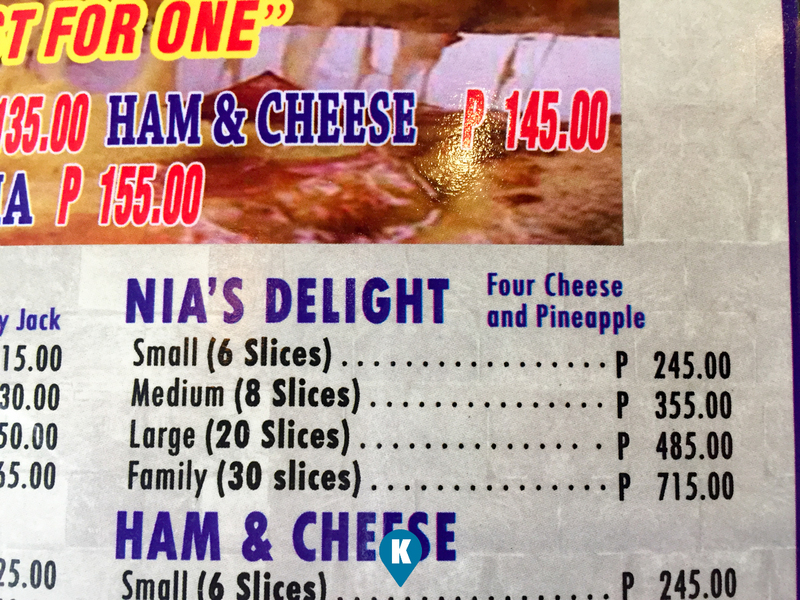 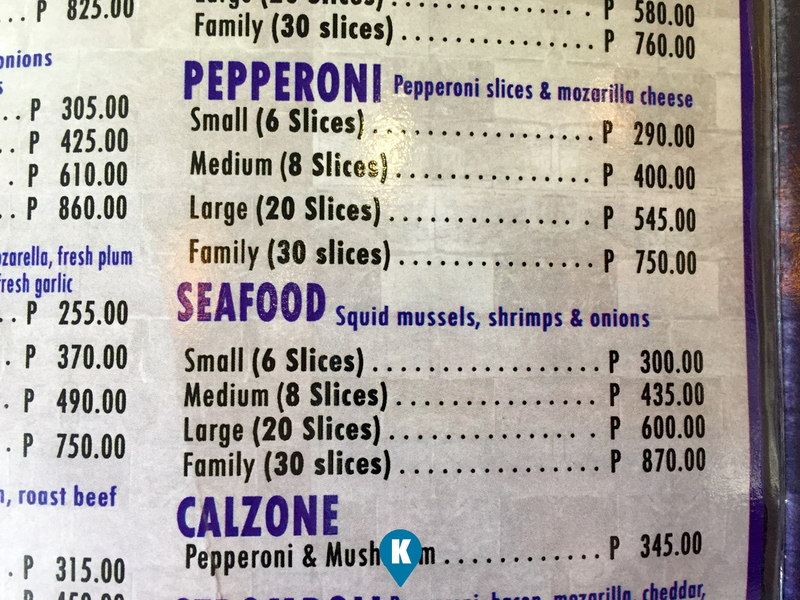 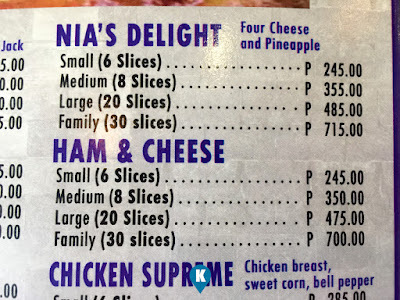 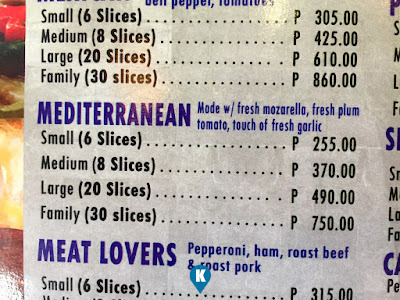 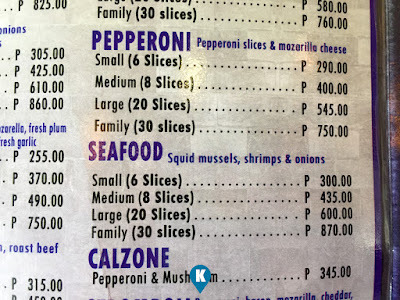 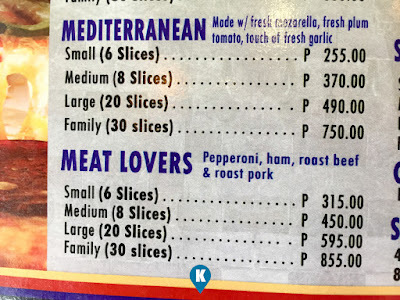 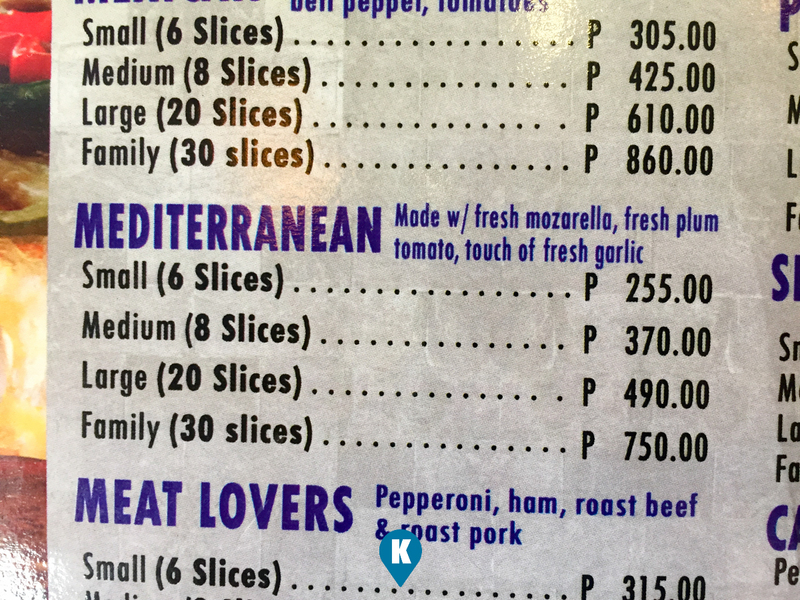 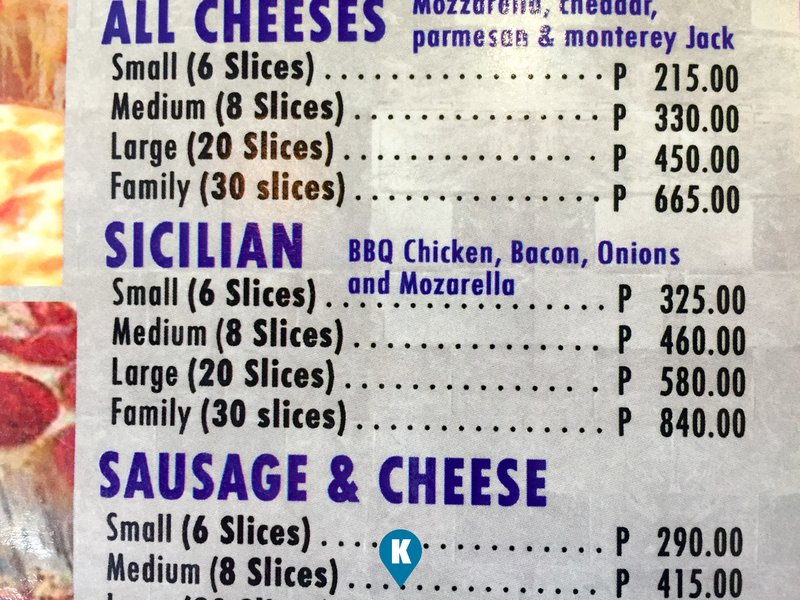 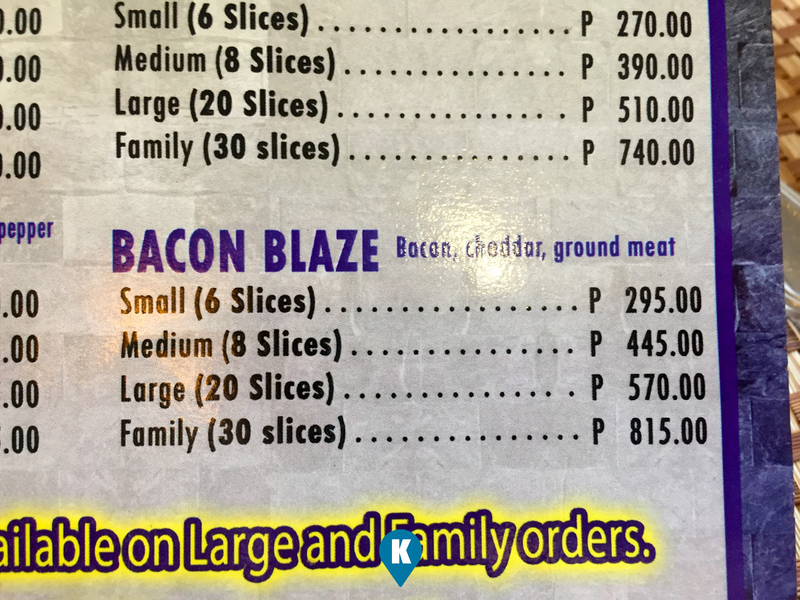 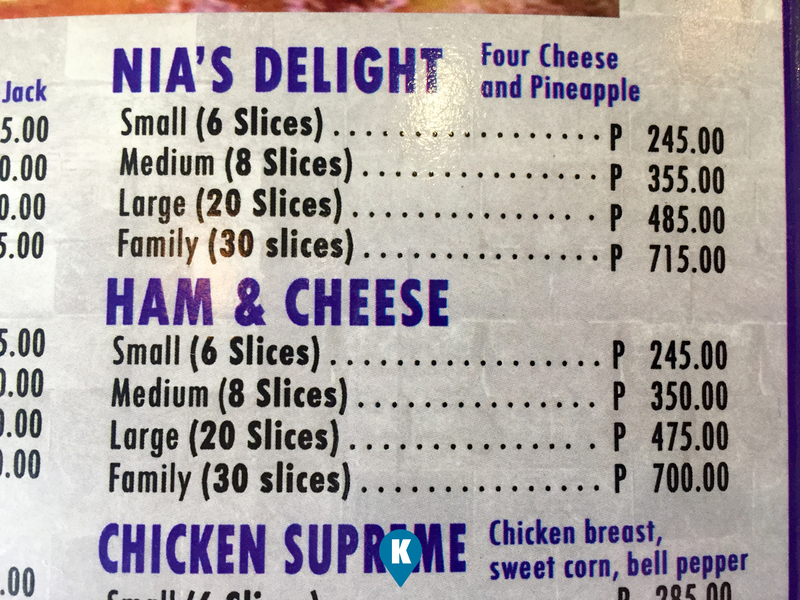 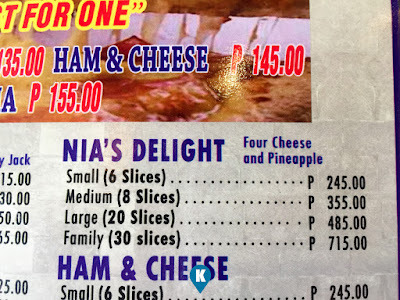 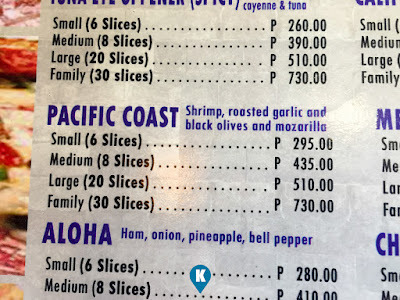 Two slices can easily satisfy your appetite. 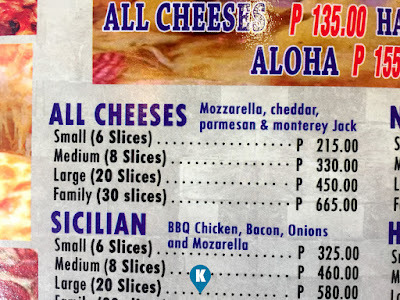 It will tide you over hunger but with this pizza that's great, two slices won't cut it. 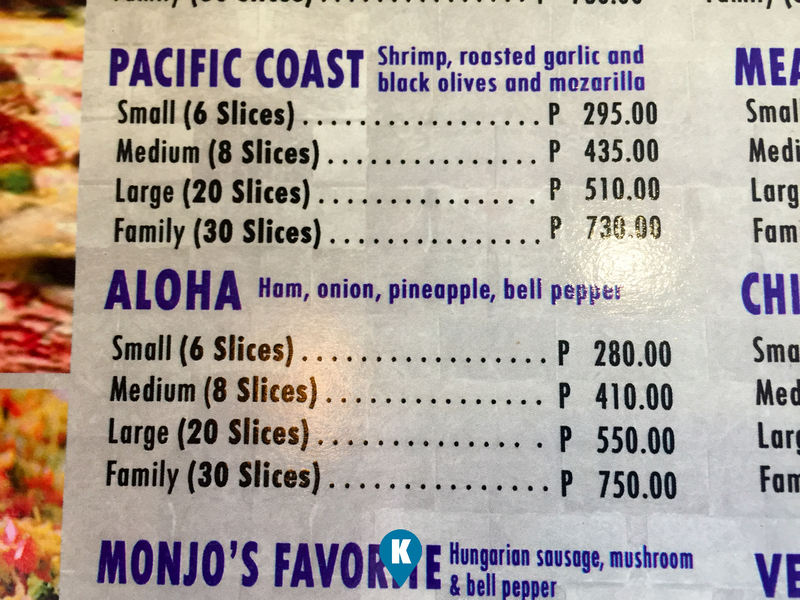 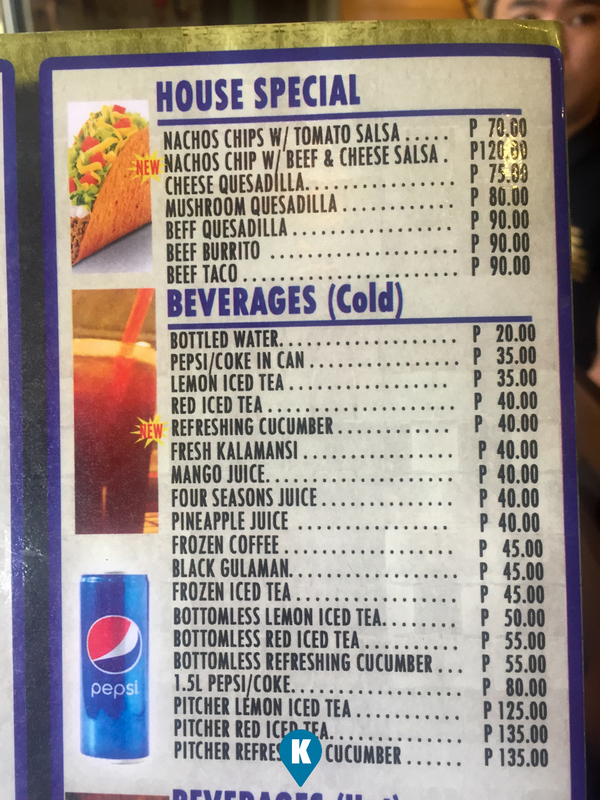 Got to passby Monjo's again when I'm back in Kalibo. To know more about them, visit their facebook page here.